Some days, all you need is a swing. Sometimes the best things are the simple pleasures. Swinging on a swing set is definitely one of those. You get to feel the wind in your hair, and work up the courage to leap off when the swing reaches the perfect height. 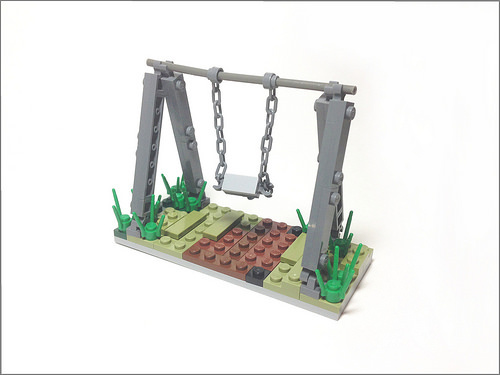 Alexander Safarik’s (Malydilnar) brick-built version is ready for anyone who’s willing to come and swing for a while!